The recording of Christian Parenti’s 2013 Antipode AAG lecture, ‘The Environmental State: Territoriality, Violence, and Value’, is now available online as a part of the Antipode Lecture Series. 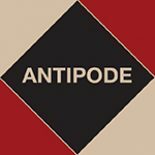 Christian Parenti’s 2013 Antipode lecture available to watch online. This entry was posted on 13 June 2013 by Antipode Editorial Office in Other and tagged A Conversation With Gayatri Spivak, and Value, Antipode Lecture Series, Association of American Geographers', Christian Parenti, Gayatri Chakravorty Spivak, Scattered Speculations on Geography, Territoriality, The Environmental State, violence.